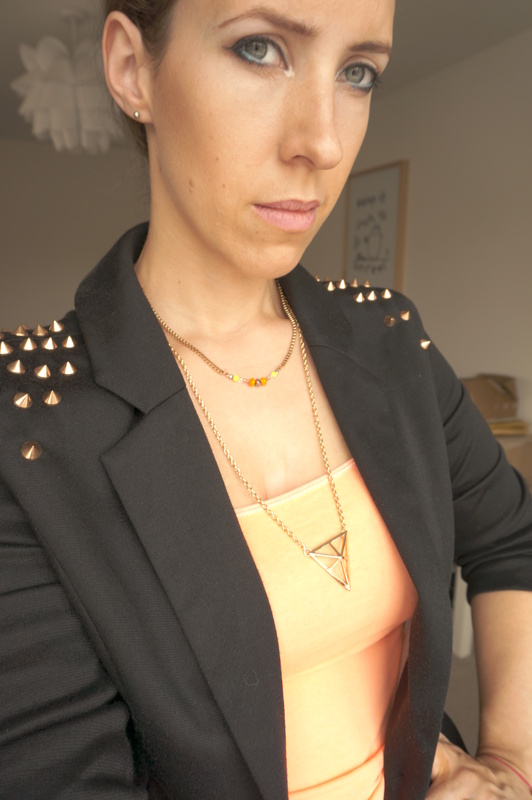 Today’s post is a quick OOTD to show you my new blazer! I got such a good deal in the sale at House of Fraser, it was reduced from £50 to £30 to £25! Check it out here! It’s made of a lovely soft jersey material with gold spikes on the shoulders, a real bargain at £25! I love it! I also wanted to show off my lovely Gold Prism triangle necklace from Millie ‘n’ Mae, which I have literally been wearing every day since I’ve received it. Next Post Meet August’s Lovely Blogger Advertisers!